Because I have been in the Wi-Fi industry for 12+ years, I sometimes forget that the technology is still a young technology. To this day I find that many people are just getting introduced to the basic concepts of 802.11 wireless networking. Therefore, I wanted to write a quick Wi-Fi back-to-basics blog about channel reuse patterns in the 2.4 GHz frequency band. This blog is not intended for all of you Wi-Fi veterans but is instead targeted to Wi-Fi newbies. 802.11b/g/n Wi-Fi radios can transmit in the 2.4 GHz band with a total of fourteen available channels. In the US only eleven of those channels are legally available and only 13 are available in Europe. 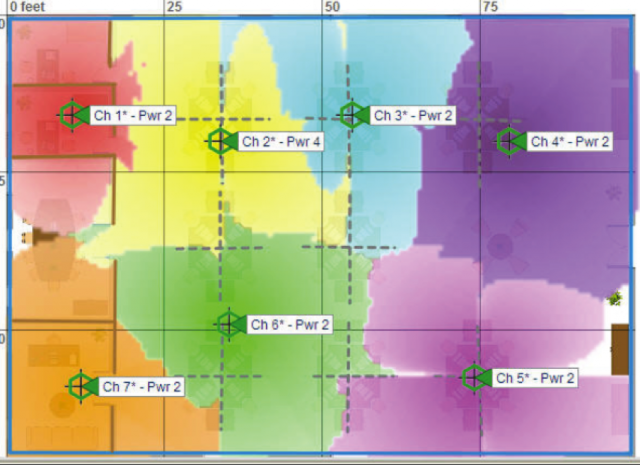 Figure 1 depicts a spectrum analyzer view of the frequency space occupied by these fourteen channels. Please note that within the 2.4 GHz band, only three channels have non-overlapping frequency space: channels one, six and eleven. 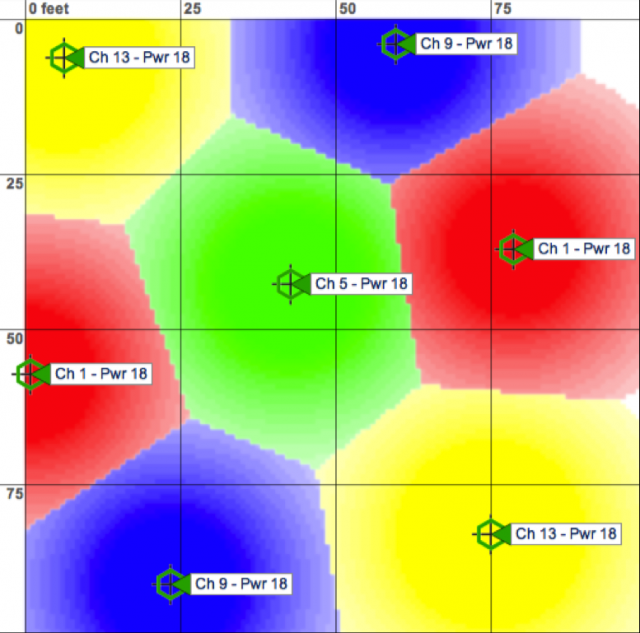 When designing a wireless LAN (WLAN), overlapping RF cell coverage is necessary to provide for seamless roaming. 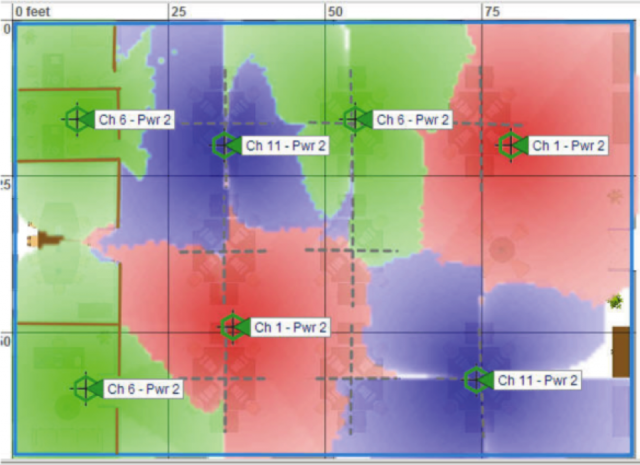 However, the overlapping coverage cells should not have overlapping frequency space. In the United States there are only three channels (1, 6 and 11) that do not share frequency space. RF is a half-duplex medium that allows for the transmission of only a single radio on any frequency channel, therefore when three or more 2.4 GHz APs are needed to cover an enterprise facility, only the non-overlapping channels of one, six and eleven should be used. Figure 2 shows a floor plan using six APs to provide coverage. Note that only the non-overlapping channels of 1, 6 and 11 are used. This cell design is often referred to as a channel reuse pattern. A 1-6-11 channel reuse pattern in always the proper design in North America. Figure 3 shows an improper channel design using the same six APs. Note that channels 1-7 are used and all the channels share overlapping frequency space. The improper channel reuse design depicted in Figure 3 causes what is often known as adjacent cell interference. Data corruption is caused by your own APs transmitting at the same time over shared frequency space. The end result is decreased throughput and increased latency. Adjacent cell interference is simply RF interference caused by your own APs due to improper channel design. One of the most common mistakes many businesses make when first deploying a WLAN is to configure multiple access points all on the same channel as depicted in Figure 4. If all of the APs are on the same channel, unnecessary medium contention overhead occurs. Wi-Fi uses a listen-before -you-talk technology called the clear channel assessment (CCA) to ensure that only one radio can transmit on the same channel at any given time. 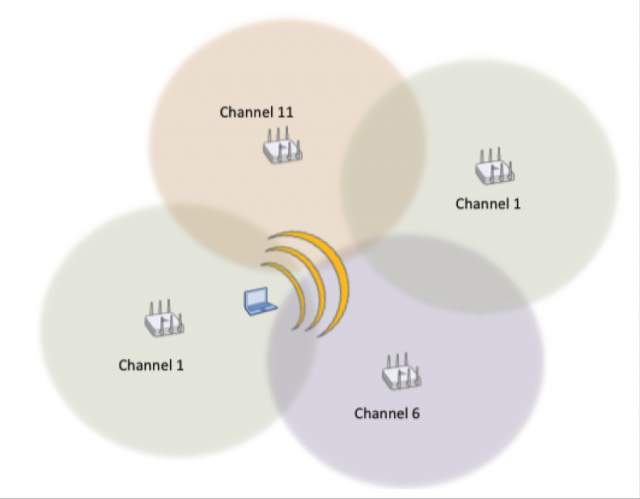 If an AP on channel 1 is transmitting, all nearby access points and clients on the same channel will defer transmissions. The result is that throughput is adversely affected: Nearby APs and clients have to wait much longer to transmit because they have to take their turn. The unnecessary medium contention overhead that occurs because all the APs are on the same channel is called co-channel interference (CCI). In reality, the 802.11 radios are operating exactly as defined by the CCA mechanisms, and this behavior should really be called co-channel cooperation. The unnecessary medium contention overhead caused by co-channel interference is a result of improper channel reuse design. Please understand that client station transmissions also result in the medium contention performance downgrade known as co-channel interference/cooperation. As shown in Figure 5, if a client is at the outer edges of a coverage cell, the client’s transmissions may propagate into another cell using the same channel. All of the radios in the other cell will defer if they hear the original client’s transmissions from a different cell but on the same channel. 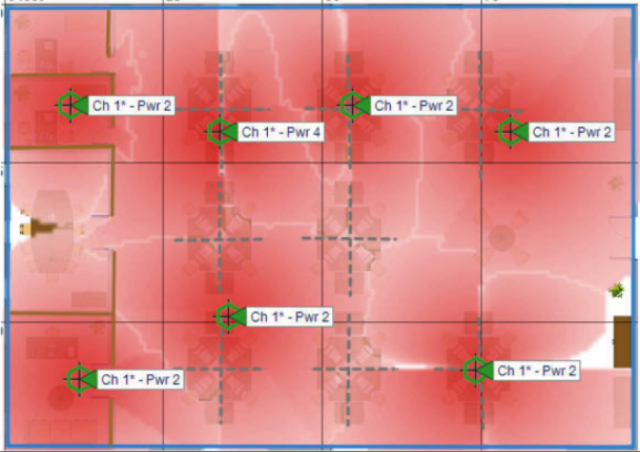 In Europe, a 2.4 GHz four-channel reuse pattern of channels 1, 5, 9 and 13 is sometimes deployed as shown in Figure 6. Although there is a small amount of frequency overlap between those four channels, the performance might in some cases be better if the medium contention overhead of co-channel cooperation can be reduced because there is less channel bleed over. I am personally not a big believer of the four-channel plan, even in Europe. The four-channel plan has disadvantages. If a nearby business has APs deployed using the traditional 1-6-11 plan, the neighboring business’s APs will cause severe adjacent channel interference with your APs deployed with a 1-5-9-13 plan. Also, all North American Wi-Fi radios are restricted by firmware and cannot transmit on channel 13. Any visiting customer or employee with a laptop, iPad, or other mobile device that was purchased in North America will not be able to connect to a European access point transmitting on channel 13. 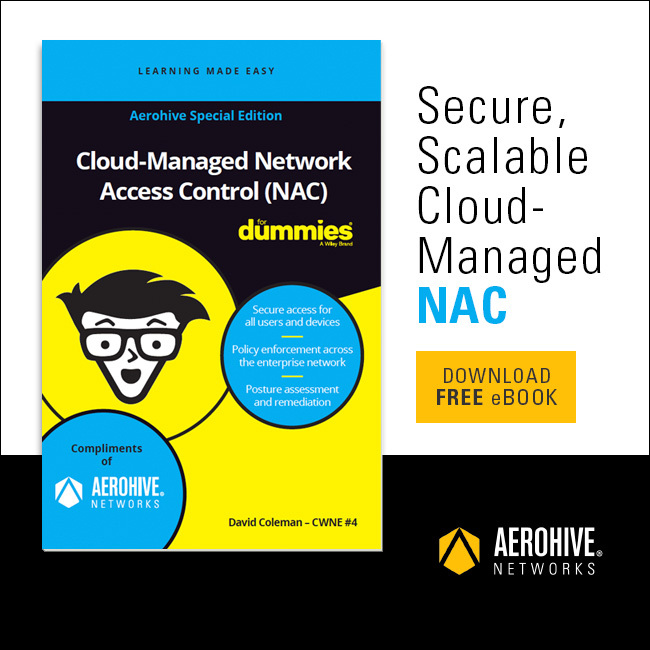 The good news is that Aerohive APs use a cooperative control protocol called Aerohive Channel Selection Protocol (ACSP) to automatically create a proper channel reuse pattern by determining optimal channels and power levels based on channel utilization, neighboring channel interference and CRC error rates. If you would prefer to have a static channel plan, Aerohive’s free Wi-Fi planning tool will assist you in designing a proper channel plan. Stay tuned for my next Wi-Fi back-to-basics blog where we will discuss channel reuse patterns in the 5 GHz frequency band.